Innovation & Technology — RandallAnthony Communications Inc.
With the world’s most durable, high-performance, anion-exchange membrane, which can be applied in cost-effective clean energy generation, energy storage and industrial wastewater treatment, Ionomr won the low-carbon energy production category in this prestigious competition, which attracted 400 international competitors. 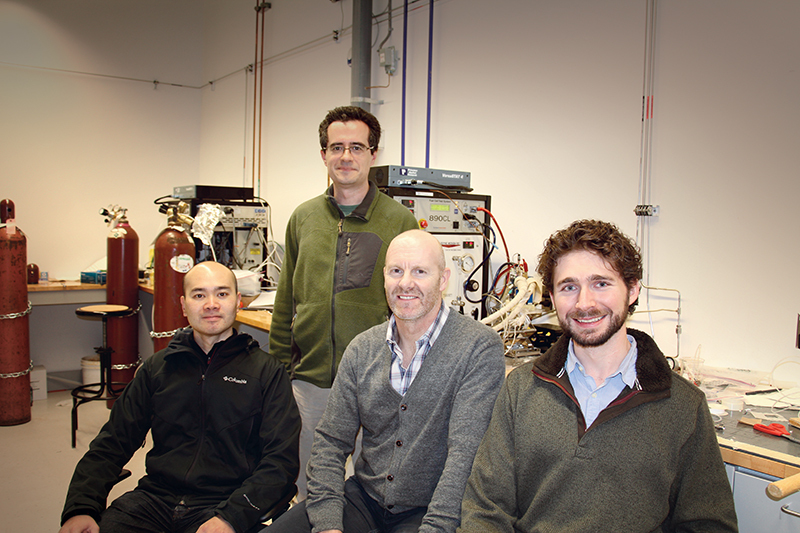 The startup, which was founded by a Simon Fraser University (SFU) chemistry professor and three SFU graduates, is an example of the calibre of breakthrough research happening at Canadian universities. What sets it apart is its transition into the market, says Elicia Maine, Innovation & Entrepreneurship professor at SFU’s Beedie School of Business. Industry partners are typically more open to adopting or collaborating on incremental innovation, such as improvements to existing products, processes and services. Breakthrough inventions are more commonly commercialized by small startups – and the path from idea to impact can be long, complex and highly uncertain, according to Dr. Maine. Currently, many of these new ideas are either published but don’t move to the startup stage due to lack of funding or are licensed to large companies who may delay their entry into the market. “Canada punches above its weight in invention, but is lagging behind on capitalizing on its world-leading science,” she says. With 0.5 per cent of the world’s population, the country produces almost five per cent of top-cited papers, yet the number of new firms to file for patents is much less impressive. A survey of 5,000 leaders of technology-related companies with more than 20 employees identified the top barrier to innovation as “risk and uncertainty,” says Dr. Maine. She believes that this is where a business school has something unique to offer: to help innovators be comfortable managing under conditions of risk and uncertainty so that they can maximize upside opportunities while mitigating downside exposure. i2I program. The assignments and presentations are customized around their innovation idea, but the pedagogy is meant to give them lifelong skills in new product development, creating and testing value propositions, managing under uncertainty and championing innovation. “We are engaging people who are already highly qualified in their own fields and who often already have patented technology or tangible technology they could patent, but most of whom have never founded a company,” adds Dr. Maine. She adds that events like the #BCTECH Summit, the largest technology conference in Western Canada held in Vancouver from May 14 to 16, bring together inventors, industry and government to support innovation.